Don't worry, we double-checked the whole Austria-Australia thing. The Nexus Player will be on sale in both locations. The Nexus Player should be available either now or very soon in the Google Store and/or the Google Play Store, though it might be a while before it arrives at local retailers. The price should be about the local equivalent of $100 USD, plus a bit more because electronics always seem to be more expensive in Europe and Down Under. Ausdroid says that the Nexus Player costs $129 in Australia... and that local TV and cable providers are woefully unprepared. That isn't very surprising. The official ASUS controller, which costs $40 in the United States, should go on sale in these new markets sooner or later. Remember that any Bluetooth HID controller will work for Android TV-compatible games. So far the Nexus Player is the only way to get your hands on Android TV. Both the NVIDIA SHIELD set-top box and the Razer Forge TV are set to launch in the United States next month, and the newest high-end Sony TVs run Android TV as their smart platform. 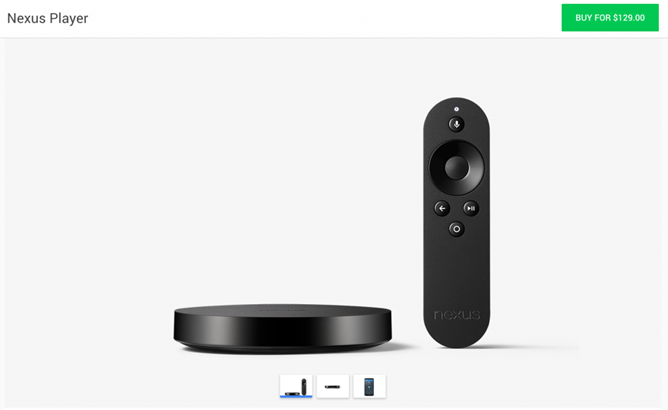 The Nexus Player is now available in fifteen different countries.